FRIDAY, Nov. 9, 2018 (HealthDay News) -- Eating healthier requires a mindset change. But it also helps to make changes in your home environment to encourage a new and better way of approaching food -- starting in the kitchen. First, do a deep dive into your fridge. You want to rearrange shelves and drawers to make healthier foods easier to find. This is also a great time to purge both outdated items and foods that just aren't good for you. Use drawers for high-calorie foods that you must keep but don't need to see. 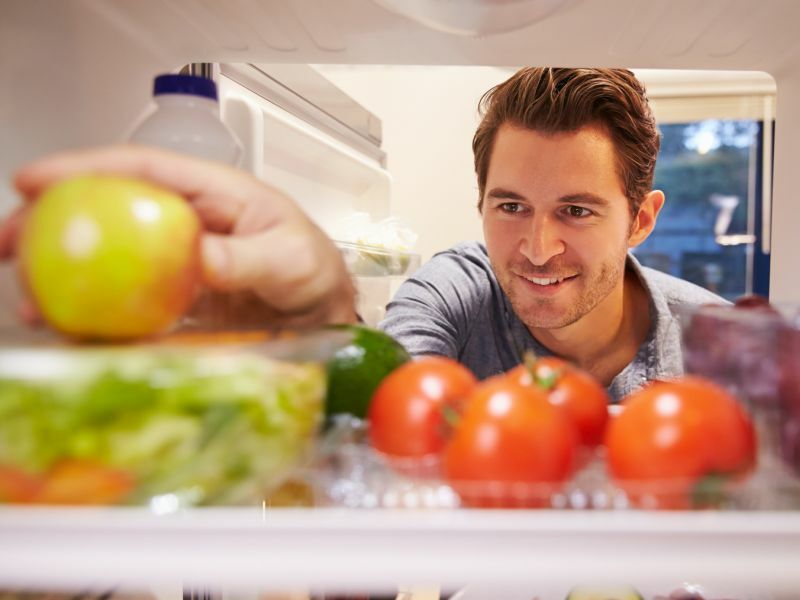 Then move veggies and fruits to eye level so that every time you open the fridge to look for something to eat, that's what you'll see first. Hint: Prep your veggies and fruits before refrigerating them so you won't first have to clean and cut them when you want a snack. Nuts and seeds are loaded with taste and nutrients, but they're also high in calories. Make your own mixes, then measure out 1-ounce servings and package them in baggies or wax paper bundles. Store in the fridge to keep them fresher. Stock your pantry with a selection of oils and a variety of flavored vinegars to make your own salad dressings and marinades. Tip: Delicate oils, like those made from nuts, will last longer in the fridge. Other oils need a cool, dark cabinet -- light is the enemy so don't leave them out on your countertop. It should only take an hour or so to do this kitchen "remodel," but the results can translate to a lifetime of better health.